It seems like every year we think about racing (racing?) 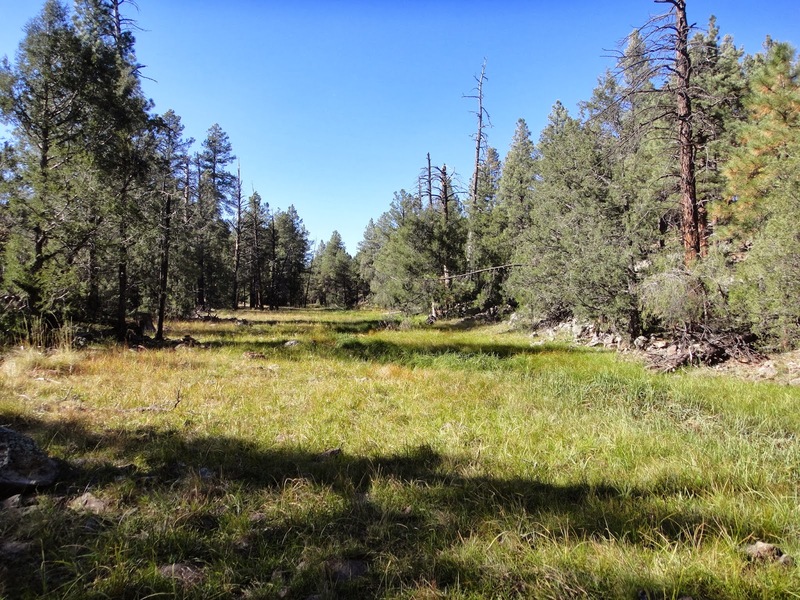 the Coconino 250. Then we don’t. 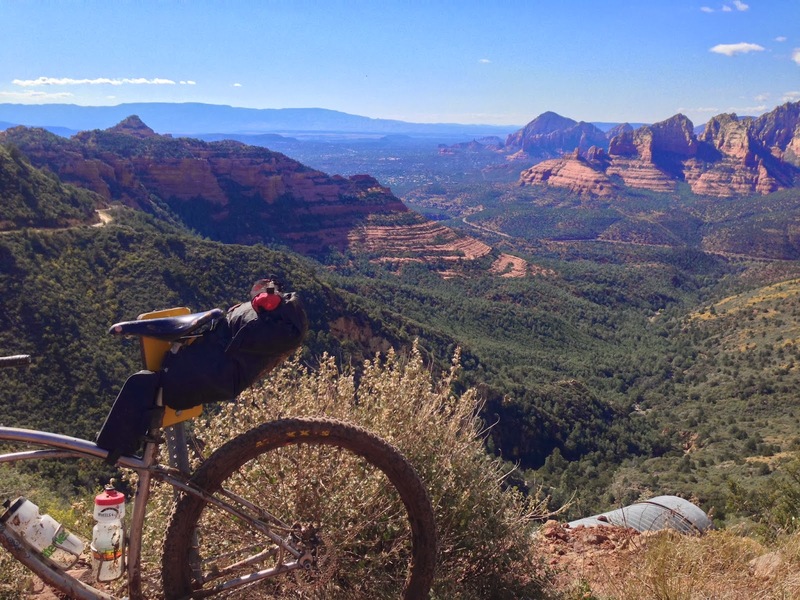 The official Coconino route provides ‘drop down’ points to some pretty cool towns and bars. And therefore, the motivation to stick to the race route is… lacking. Anyway, this year we kept an open mind about the race and the route. Then a big storm hit the day before our departure. The storm, combined with the wicked cold temperatures, made it an easy decision. We ditched the race and committed to the Coco Loco route. Because it’s all about having fun, as usual. Yeah, big surprise. Huh. So, what is the Coco Loco? You may ask. Well, it isn’t the 2011 Coco Macho, although the Coco Macho was a bit Coco Loco. 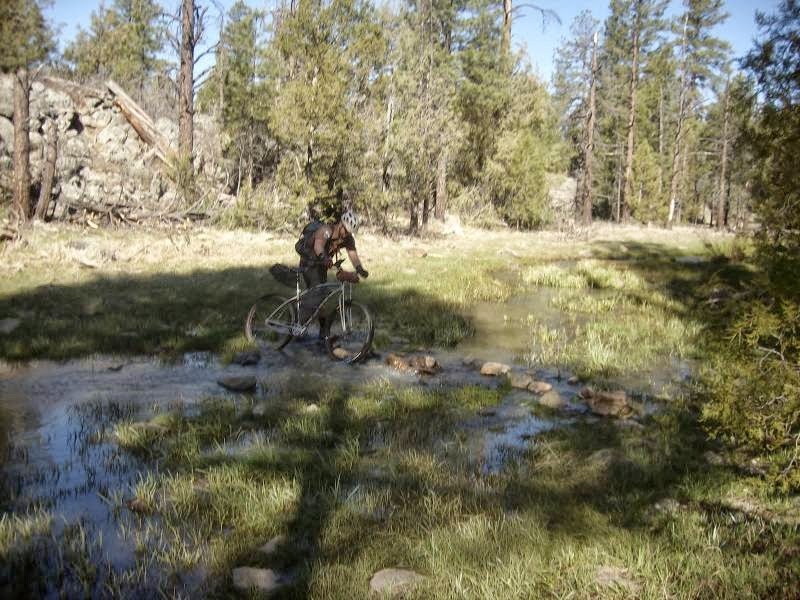 And clearly it isn’t the Coconino 250. 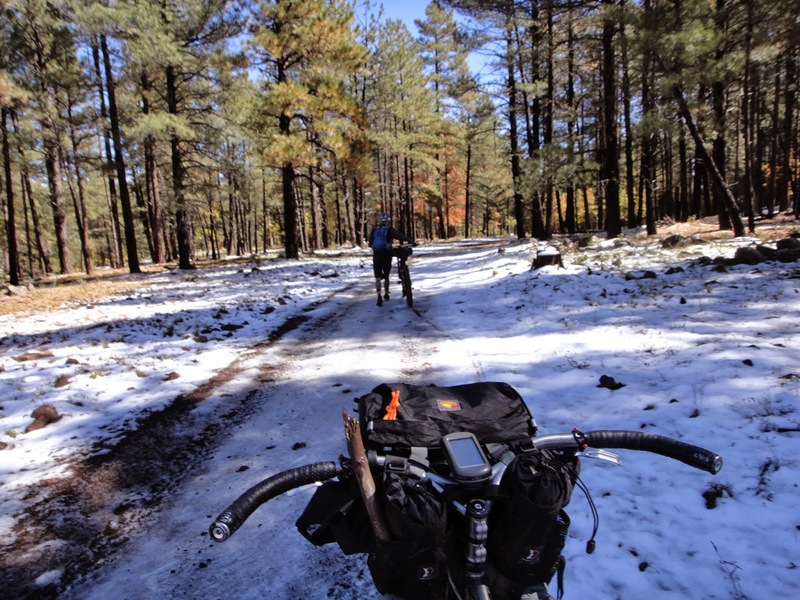 So, let’s just say the Coco Loco was three long days of bikepacking fun, in Arizona. Yep, that’s it. Ok. Enough lingo. Read below for the basics: the lessons learned and random observations and random comments. 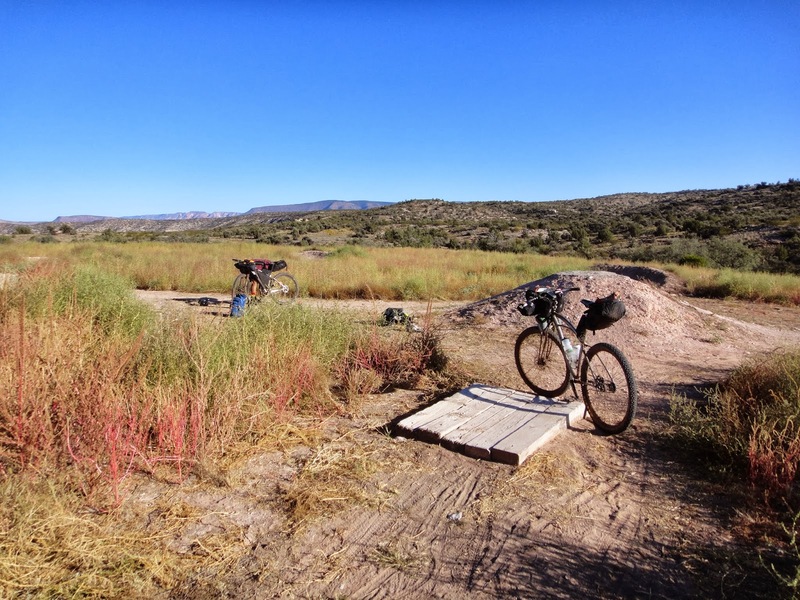 We roll into the campground near Cottonwood (Dead Horse Ranch?) around 9PM. We wanted to get close to the Mingus climb and refueling spot / gas station. So why not cruise into the campground and the luxuries of porcelain and running water. 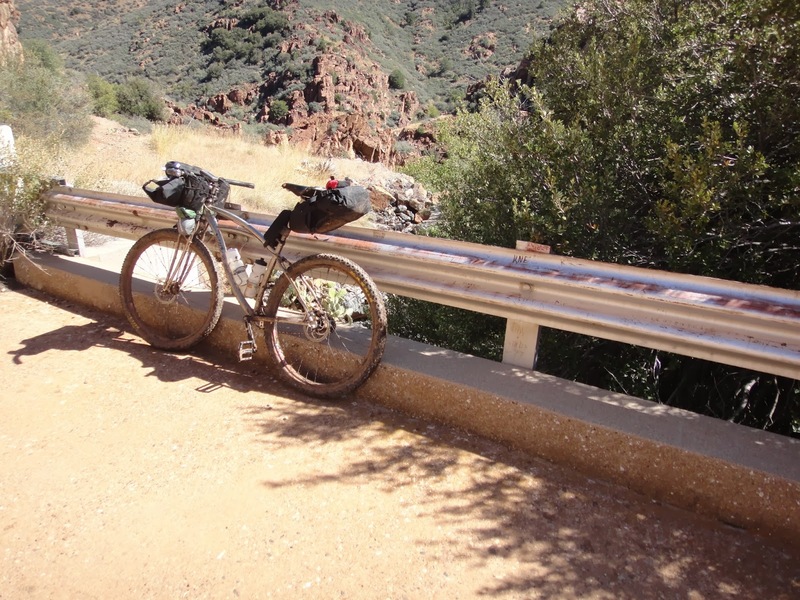 Anyway there were no available camp spots and we couldn’t locate our fellow bikepacker, Barry. So we poached a spot right outside the campground, in the campgrounds BMX pump track / bike obstacle course. This was all cool, except for the damn FENIX lights that I was roll’n with. A dude can’t exactly go the stealth route when the FEXIX lights are blasting 875 lumens on low. Seriously. But Mad Rhino was in stealth mode. His lights put out about 22 lumens. So I calculated. Then I looked down, a Rattle Snake was coiled up on the side of the trail and ready to strike. Yep. Mad Rhino was yelling “SNAKE”. I need to pay attention, one of these days. Believe it or not. The screw securing my rear Formula R1 brake lever vibrated out on Day 1. 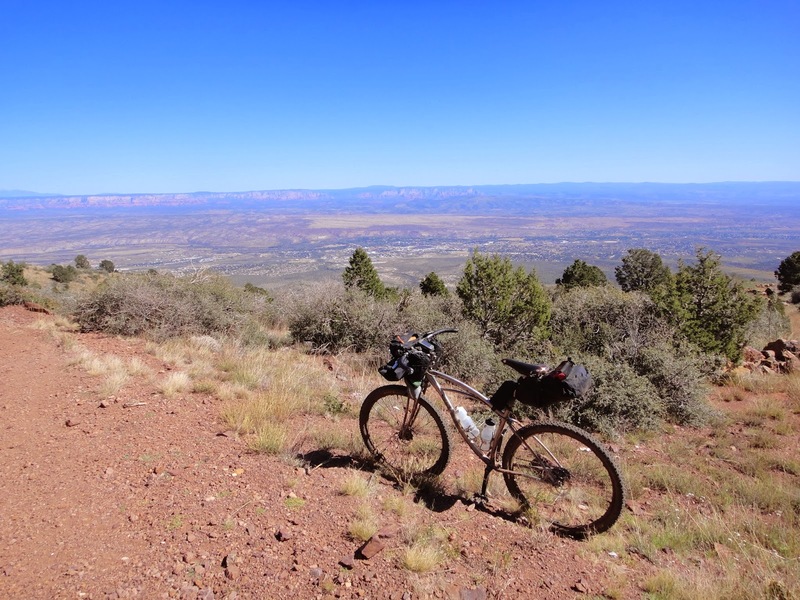 Probably loosened up on the wicked fast & rough descent into Sedona. 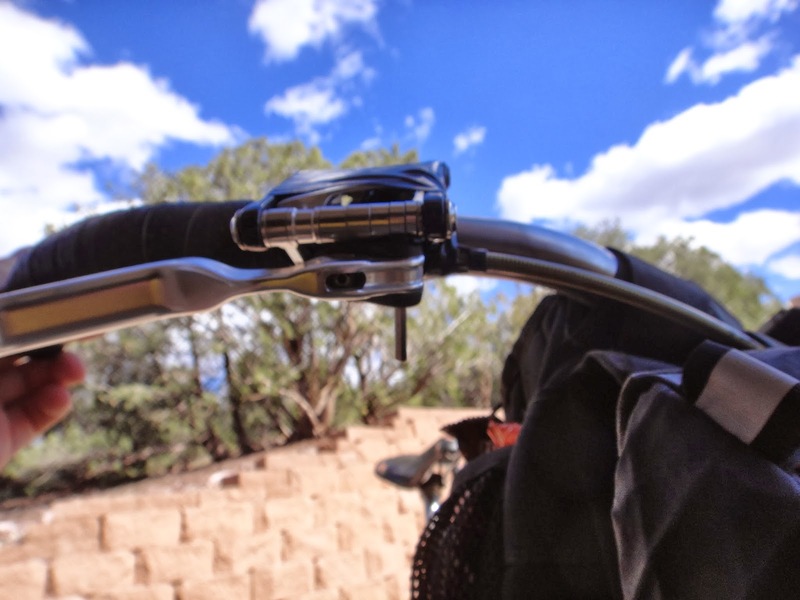 And EVERYONE knows that the rear brake is the most important… at the back of the pack. NO MATTER what your mountain bike instructor told you during your last trail side lesson. So, I was screwed. But, in the dark, with creepy desert wanderers staring us down, Ghetto Mechanic Mad Rhino asked for my multitool. He jammed the #3 down the hole and secured my brake level. Nice fix. Nice Look. Your GPS is wrong… and if you still want to cruise up our private street… our pitbull will eat you. Mad Rhino and I cruised down a wicked rough trail into the Jerome city limits. There is a 500 yard section of city road that we clearly were not welcome on. 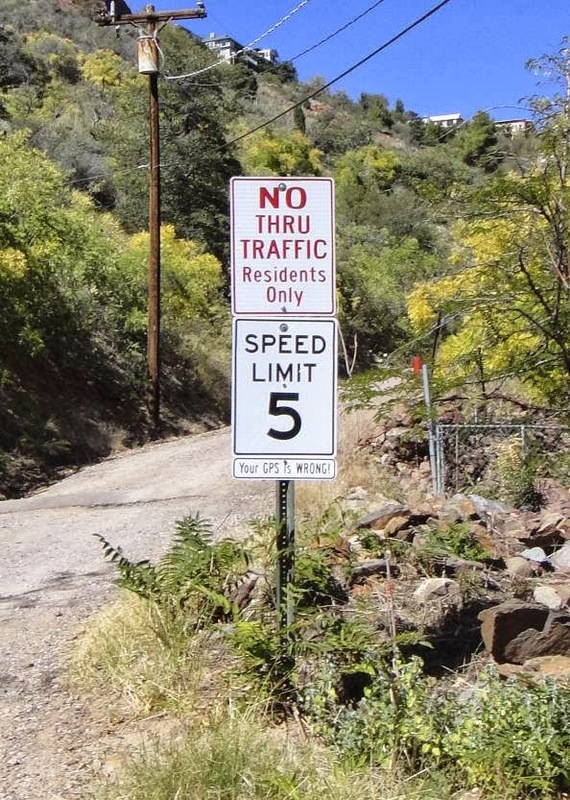 But what the hell, the sign doesn’t say “Private Property” or “Violators will be SHOT”. So we cruised up the road. About 1/2 way to the asphalt a big a$$ pitbull (well, the blood thirsty varmit looked like a pitbull.) pursued Mad Rhino and I. We bolted down the hill and did the 1.5 mile ‘loop around’. That’s right. We were about 200 yards from the bars and we had to back track, cruise down to the main road and put in another 1.5 miles of climbing. All because of a pit bull. I keep looking at the sign. No where do I see the lingo “Your GPS is Wrong, Our PitBull will eat you.” But that’s just the way it is. 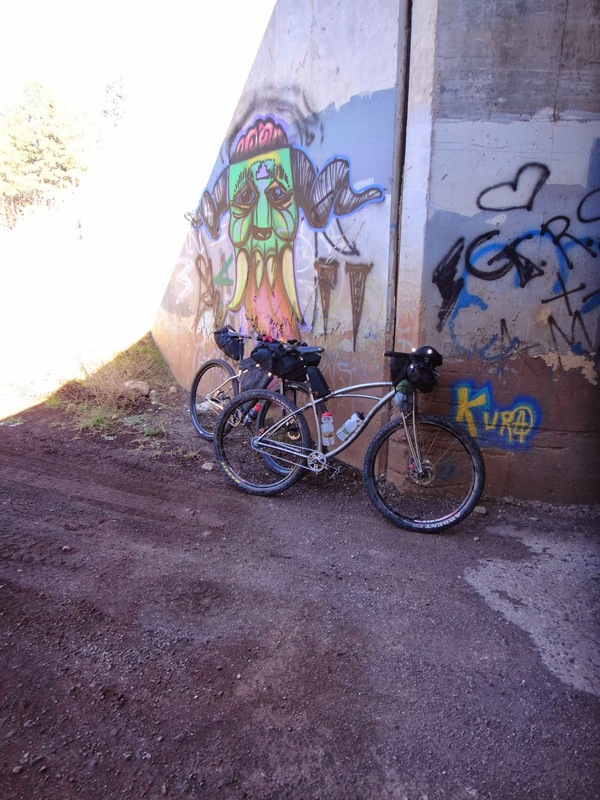 The only option for SS bikepacking is 32 x 23. Seriously. I’ve made the mistake a hundred times over by over thinking the ratios and mph averages, etc. In the end, pick the 23T. Even super freaks roll with the 23T, at times. I think. As I get older and wiser I realize that ‘nutrition’ plays a big role in performance, even at the back of the pack. I’m a food hoarder when I bikepack. I don’t want to run out of food. I don’t want to run out of water. Therefore I don’t eat and I don’t drink. I’m always in survival mode, not race mode. (We don’t race at the back of the pack, BTW.) And that’s the problem. Anyway, I’m starting to figure out the Cycles of Exhuastion. I may just start eating that CRAP that I carry for all those miles. I rolled out with an entire years supply of batteries. (Is that poor grammar, or what.) And I finished the ride with a years supply of batteries. Someday, I’ll figure this crap out. I’ll either use the batteries or go without. DUMB! 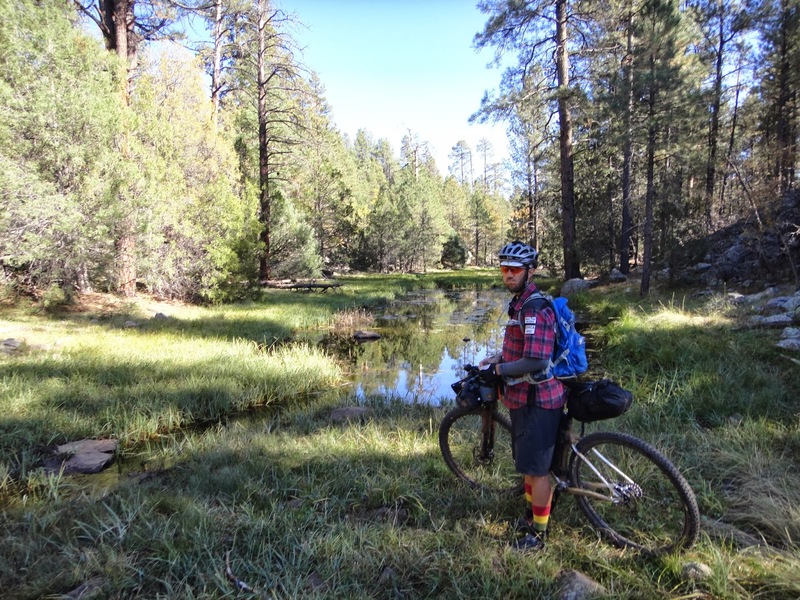 The Bikepacking List is years in the making. I always print it out. BUT I Still don’t use it. That’s a big mental problem, I think. Since Day 1 we’ve been living on pizza while cruising at the Back of the Pack. This time the Meat Lovers selection almost killed me. I was HURTING on Friday night while trying to keep up with the relentless pace that Mad Rhino was throwing down. AND if anyone says a Meat Lovers pizza is just as good the second time down. They’re lying. There is nothing good about regurgitated Meat Lovers. Nothing. But it does give you something to chew on. Just Say’n. Mad Rhino prepares all the GPS data. But neither of us EVER think about building queue (cue) sheets. Hell, if you wanna know how far it is to the next town or the next water supply, don’t ask us. But we can show you the route. So I was thinking. 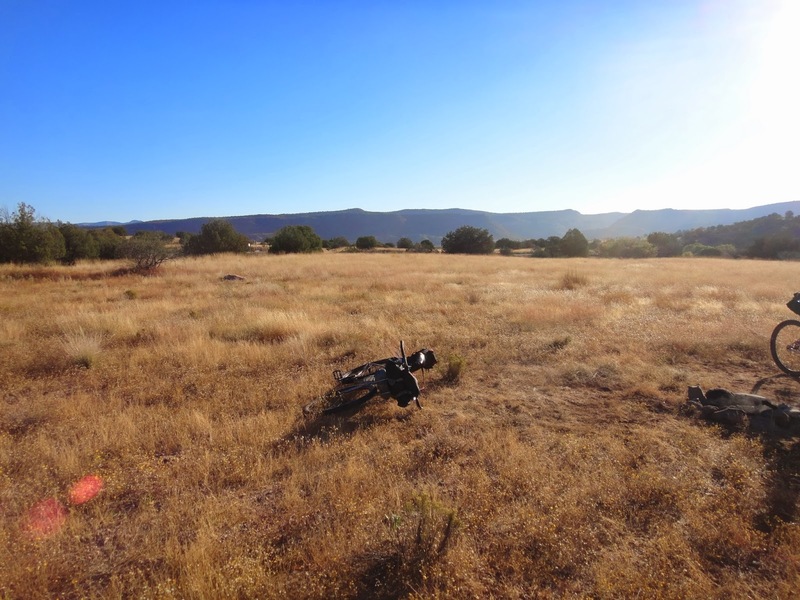 On day 3 we were in the middle of nowhere, I had some issues with my bike. My phone was almost dead. Then I realized… if I had to call someone, from like a pay phone, ‘d be screwed. Because I don’t know anyone’s phone number. Seriously. I don’t Am I a Victim of Modern Day technology. OR am I just so smart, like Einstein smart, that I can’t be expected to remember these trivial things, like phone numbers. Just Philosofizing. BTW, do you know my phone number? Doubt it. Where the Hell does one park a car during a multi day bikepacking trip? We park at Walmart. Right under the sign that says “No Overnight Parking”. Haven’t had a problem yet. The Brother Rohwer style: it’s better to save energy for those things yet to come. Like racing away from blood thirsty pit bulls or monstrous grizzly bears. or even crazy(ier) stuff like the mosh pit or bar fight in the next town. In the end, a decent walking average is 2.5 mph, maybe a bit lower. The painful hammer style produces an average of 2.75 mph – including mandatory recovery time for heart rate to fall below 190. So, suffer as you wish. Sycamore Canyon. Take your honey. Not your single speed. That’s my opinion after two pushing my bike through the rock gardens, twice. The drugged out twerk. (Not the twerk.) This crap freaked me out. Go to the Green Room in Flagstaff and get freaked out while watching the drugged out twerk. Holy Hell! Kids these days. Total Chaos. That’s whats next. That’s how we operate. In about 1 1/2 weeks we’ll be head to 25 in Hours Frog Hollow. This will be The Morale Chairman’s coming out party. I’m thinking I’ll lay down a cool 200 miles. Just because. Arrowhead 135. Because two Minnesota born brothers (Minnesota born but Colorado raised) gotta go back to the homeland and the northern lifestyle from time to time. Old Pueblo, v2014. We’re planning a big a$$ wicked party for Thursday night. Kegs. Probably bring in a band. A couple of stages with stripper poles. You know. The usual. Show up and hang…at the back of the pack. 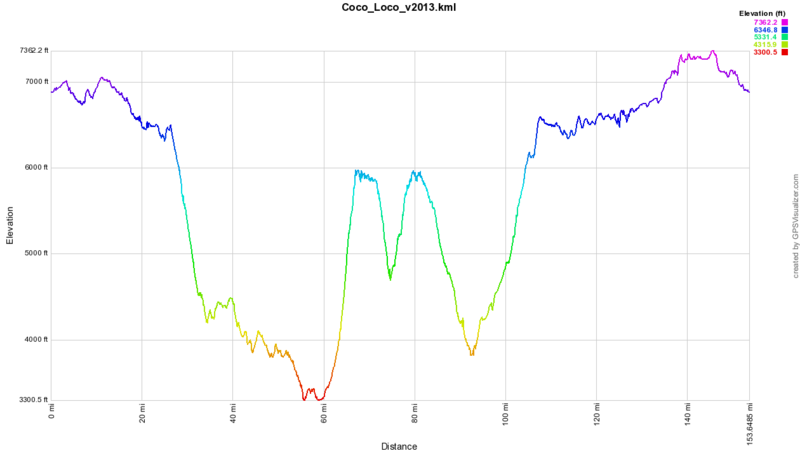 Just some graphical data for the geeks in all of us. Red is the BPR Coco Loco Route. 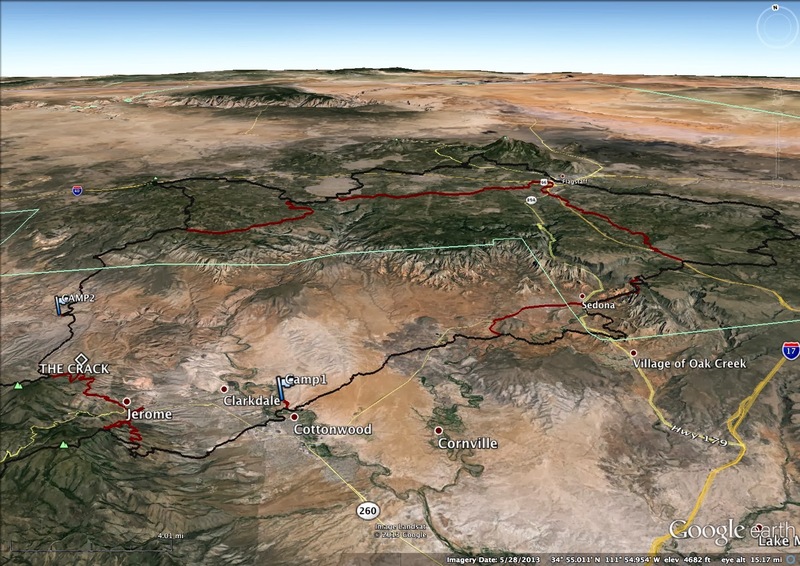 Black is the Coconino 250 Route. 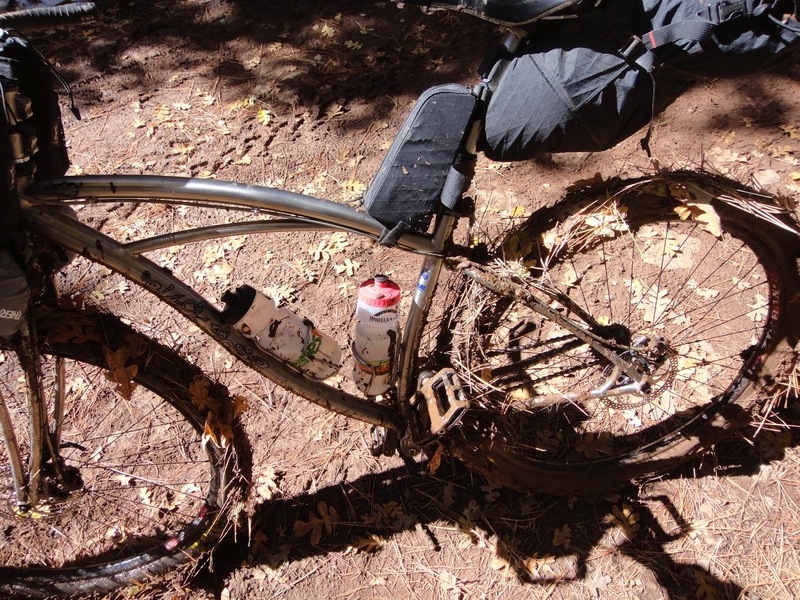 The Coco Loco v2013 was ~ 160 miles with a few major hike-a-bikes. Ok, maybe not extreme ‘hike-a-bikes‘. We’ll settle for ‘push-a-bikes‘. 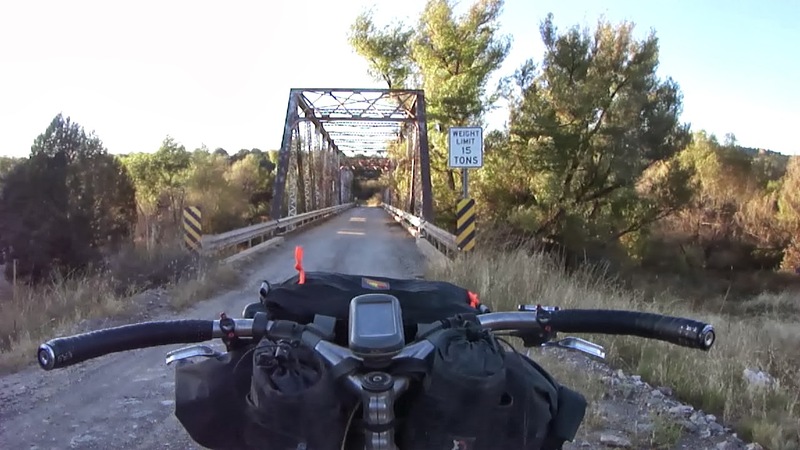 a bridge on the trail to Jerome. and by the way, Linda gets around. ← BPR AZ is a assembling A Crew of Total FREAK JOBS… just the way we like it.